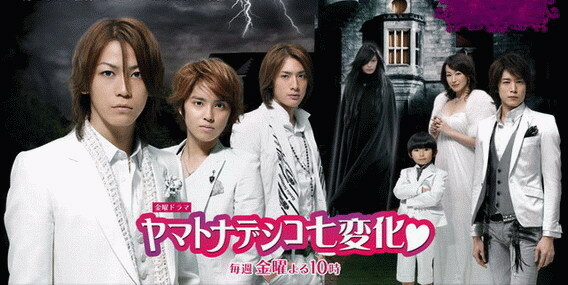 yamato nadeshiko shichi henge is a drama featuring four boys that have to make their landlord’s niece into less of a horror movie fan and more of a lady. though, the boys featured are supposed to the most desirable etc in the school/area but i’ve seen better looking guys on street fashion photos. and i do have a thing for asian guys, i’ll happily admit that. like david chiang, my god he is beautiful.